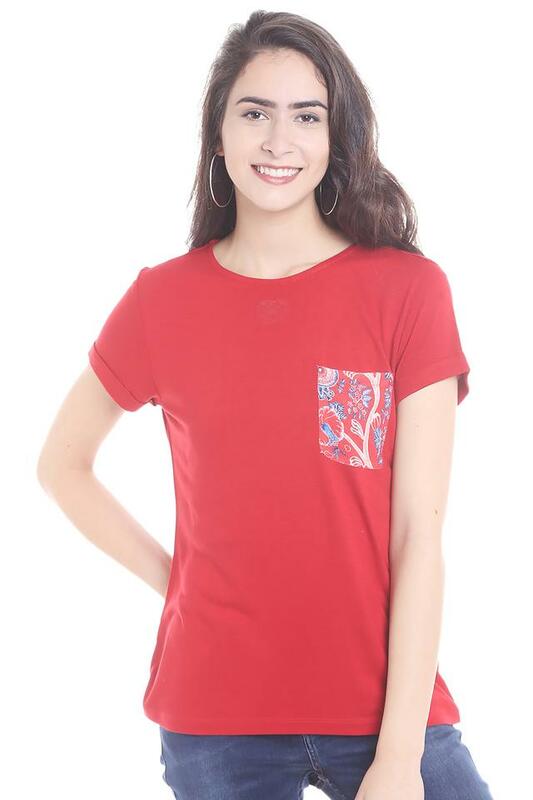 Perfect the art of cosmopolitan dressing with this t-shirt from Fusion Beats. this t-shirt is extremely comfortable to wear, courtesy the viscose fabric. 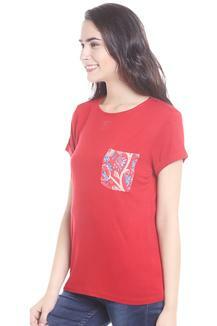 Featuring a round neck, short sleeves and printed pattern, this t-shirt blessed with a trendy appeal. Strut on the streets in comfort wearing this t-shirt from Fusion Beats. Style this t-shirt with a pair of denims and wedges for a classy modish look.